Have you prepared for the dark and dreary season of fall yet? Iron Fist's new tunic dress and their bat velvet dress are so tempting and perfect for this time of year. Depending on where you live in the world, they can be worn for all seasons. The lace on the royalty tunic dress is gorgeous. 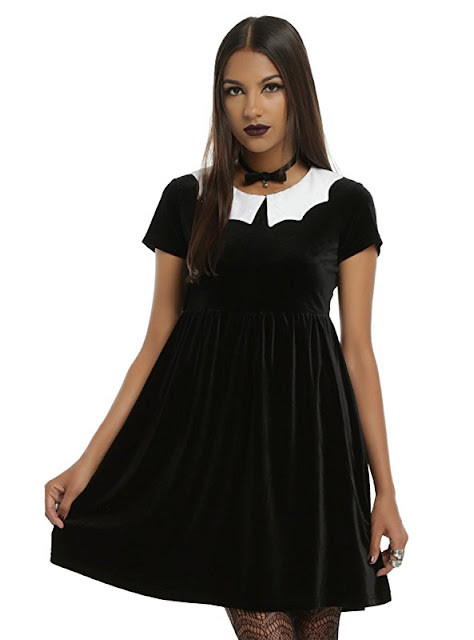 I imagine the modern witch wearing something like this. You would be displaying your love for moons, stars, bats, and other magical elements. The hat adds an even more mischievous air to her ensemble! The bat velvet dress will keep you warm throughout the season. Put on some black leggings and some boots and you're ready to go. You could even brave the crisp midnight air if you decide to go to an evening stroll to the cemetery. Can you imagine yourself wearing one of these to either work, school, or other gatherings? Both are wonderful dresses, but which is your favorite? Make sure to comment below.